In March 1938, at the height of what would be termed the “Great Purges” or the “Great Terror”, Nikolai Ivanovich Bukharin, the prominent Bolshevik theorist and leading member of the Communist Party of the Soviet Union (hereafter CPSU), was found guilty of conspiracy in relation to the murder of Sergei Kirov, the Leningrad party chief, who was killed in 1934. Bukharin, according to the court’s ruling, had actively worked “for the defeat and dismemberment of the Soviet Union and the restoration of capitalism”, and his guilt was already assured by the theatrical appeal to patriotism by the prosecutor, Vyshinsky. 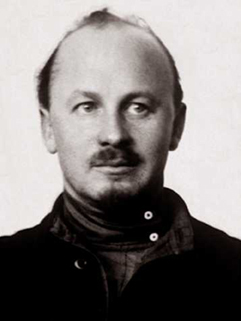 Bukharin, along with his co-accused, confessed to all charges, and was shot shortly after the end of the trial. Exactly one month earlier, in the city of Kiev, a 63 year old seamstress named Mariia Stanislavovna Ditkovskaia was also shot to death, having been arrested three months earlier by the NKVD on suspicion of espionage on behalf of Poland. These people could not have been more different; Bukharin, the eloquent intellectual, was seen as the most intelligent and incisive of all the CPSU theorists. Ditkovskaia, on the other hand, was a modest, private pensioner, who was also illiterate, to the extent that she could “barely sign her own name.” Indeed, the one common attribute that bound these two completely different individuals together was the fact that they, along with some 700,000 other Soviet citizens, were arrested by the NKVD between 1936 and 1938, branded enemies of the people, and executed. In more recent years, both have been rehabilitated, with authorities noting that their apparent complicity in any crime against the USSR was implausible and unfounded. The Purges were defining events in the history of the Soviet Union. In the space of two years, the upper echelons of the CPSU, as well as the Soviet armed forces, were devastated by seemingly arbitrary arrests and executions. But the extent of these arrests extended well beyond that of the power structure of the USSR; as the case of Mariia Ditkovskaia shows, the Purges also tainted facets of ordinary Soviet society as well. In the wealth of historiography devoted to the subject, the focus has been on discerning the agency behind the Purges. Some historians, like Anton Antonov-Ovseyenko and Edvard Radzinsky, tend to paint Stalin as the single causative factor of the Purges, an all-powerful monolith who ordered deaths because it suited him. Others, such as J. Arch Getty, Amy Knight and Sergo Beria, have portrayed Stalin’s functionaries, such as the internal officials of the NKVD, as the true driving force behind the Purges, with Stalin more of a figurehead. However, in many ways it can be stated that the Purges were a causative agent in themselves, a self-propagating spiral of denouncement and murder that, once begun, took on a life of their own. The Purges began as an outgrowth of Stalin’s paranoia and fear of internal saboteurs, assassins and conspirators. However, once they took shape, they did not satisfy their perpetrators or Stalin himself, instead fuelling their insecurity through the vast number of informants and arrests that virtually confirmed to Stalin and his inner circle that their imagined anti-Soviet conspiracy groups actually existed. The Great Purges accounted for roughly three quarters of a million deaths by the time they wound down in 1938. The origin of this Great Terror is largely seen by most historians as the murder of Sergei Kirov in Leningrad, at the hands of an assassin named Nikolaev. The original investigation into the murder had been conducted by Genrikh Grigorevich Yagoda, the head of the NKVD, but it proved inconclusive. Yagoda’s own credibility had already been called into question by the shooting, due to the fact that his agency had been unable to prevent the murder of a high-profile Party leader by a single assailant. Yagoda’s investigation did little to alleviate Stalin’s feeling that Yagoda was unsuited and inadequate; though the NKVD chief implicated Lev Kamenev and Grigory Zinoviev, two of the most well-known early Bolshevik leaders, and high-profile opponents of Stalin, in the killing, he had uncovered no concrete evidence of this theory. In the eighteen months following the assassination, several “plots and conspiracies” were uncovered, but not by Yagoda or his much vaunted secret police. In early 1936, Nikolai Yezhov reopened the Kirov murder case, with a startling conclusion: Lev Kamenev and Grigory Zinoviev had conspired with a “Trotskyist underground” movement, and arranged the assassination of the popular Leningrad Party leader. But more startling revelations were to come. 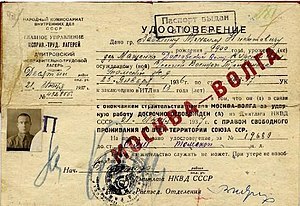 With approval from Stalin, Yezhov distributed a letter throughout the Central Committee and to all Party leaders throughout the USSR, within which he reported the existence of a large and powerful “Trotskyist-Zinovievist counter-revolutionary bloc.” The disclosures were astonishing. Under a paragraph entitled “THE FACTS”, Yezhov warned the Party that the NKVD had discovered “a host of terroristic groups made up of Trotskyists and Zinovievists”, spread as far afield as Moscow, Leningrad, Gorky, Minsk, Kiev, Baku “and other cities.” The activities of these groups, which Yezhov termed “the All-Union Trotskyist-Zinovievist centre”, were not limited to the murder of Kirov, but, according to the NKVD man, were tasked with murdering a veritable who’s who of the Soviet Union, including “Comrades Stalin, Voroshilov, Kaganovich, Kirov, Ordzhonikidze, Zhdanov, Kosior, and Postyshev”, and following these high-level assassinations, subverting the armed forces using terrorist cells implanted in the army hierarchy, and then making use “of confusion and failure of every sort in order to seize power.” Most historians credit the murder of Kirov in 1934 as the catalyst for the Purges, but the mass arrests and executions did not begin for a full two years after his homicide; rather, Yezhov’s letter was, more fairly, the spark that ignited the Terror. In order to understand why, however, we must understand the man for whom Yezhov was primarily writing his letter: Josef Vissarionovich Stalin. Given Stalin’s ever-present fear of “the possibility of betrayal from any quarter”, Yezhov’s letter would not, as Getty has suggested, have merely constituted another justification for a conniving and manipulative Stalin, but in fact have terrified the vozhd. 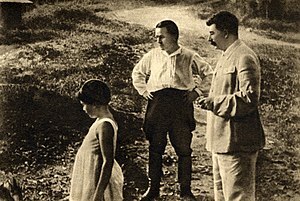 When Stalin, frustrated – and likely made suspicious – by Yagoda’s inability to prove a conspiracy between Kamenev and Zinoviev to murder Kirov, gave Yezhov carte blanche to reopen the investigation, he would have done so, fearful of what connections Yezhov might turn up. And Yezhov did not disappoint. By ‘exposing’ a large-scale internal bloc that aimed to overthrow Stalin and install Trotsky as ruler of the USSR, Yezhov had confirmed Stalin’s very worst fears. Almost certainly, Yezhov did so quite deliberately, “eager to make a case and a name for himself”, and to pull himself into contention for Yagoda’s position at the head of the NKVD. In this way, Yezhov was able to rid Stalin of Kamenev, Zinoviev, Bukharin and other people in opposition, while at the same time convincing Stalin that he was safeguarding the USSR’s paranoid leader. In expanding this circle of conspirators, however, Yezhov had miscalculated. He had released a force that he would no longer be able to control. The evidence for this appeared very soon after the distribution of his letter. On 20 August 1936, Yezhov received a letter from A. Flegontov, the chairman of the Council of the Handicrafts Cooperatives of the Ukraine, who “consider[ed] it my duty […] to report that Grigory Maksimovich Krutov, chairman of the Far Eastern Territorial Executive Committee […] was on exceptionally friendly terms with Mrachkovsky.” Mrachkovsky had been implicated, along with Kamenev and Zinoviev, in the plot against Stalin and the murder of Sergei Kirov. Yezhov could thus not afford to ignore this evidence that a Party official had been friendly with a declared member of the “Trotskyist, counterrevolutionary, terroristic organisation.” Krutov was removed from his post, and, in 1938, shot. Flegontov’s letter was by no means unique; further denunciations followed. By the time the Purges ground to a halt in 1938, the Party had been decimated. Almost the entire “Old Guard” Bolsheviks found themselves facing a firing squad. Of Lenin’s first Council of People’s Commissars, named in 1917 as the first Bolshevik government of Russia, very few remained alive. Some, like Nogin, Lunacharsky, Stepanov and Lenin himself, had died of natural causes before the purge began. Of the others, only two – Teodorovich and Stalin – remained unscathed. The rest had been arrested, and all of them would be liquidated. The Central Committee of the CPSU lost 110 of its 139 members who had been elected at the XVIIth Party Congress in 1934, and other apparatchiks of the Party suffered similar arrests and executions. But the victims were not all Party officials. Having branded Kamenev, Zinoviev, Bukharin and others as Trotskyist saboteurs, working in collaboration with the German Gestapo or “one or more fascist states”, Yezhov had publicised a distinct link between Trotskyism, the policies and activities of the “collaborators”, and hostile foreign powers. In effect, he had cast suspicions upon anyone who had ever known, followed or sympathised with Trotsky, Kamenev, Zinoviev, Bukharin, Rykov and so on, or who had visited or had any dealing with foreign countries or their nationals. Thus, Grigory Krutov, the Far Eastern Territorial Executive Committee chairman, was implicated in the “crimes” of Kamenev and Zinoviev, through no more concrete a link than his previous convictions as a follower of Trotsky. Beyond the Party, even greater recriminations were taking place. In the armed forces, the officer corps was decimated by vilification and association. According to Bialer, at least one third of the Red Army’s officer corps was arrested by the NKVD, and either executed or imprisoned. Yezhov’s “uncovering” of terrorist cells within the Red Army led to the near-complete annihilation of the Soviet officer class, with horrific consequences. Most astonishing, however, was the fact that most of the victims were not high-ranking officers in a position to betray the Soviet Union, but mid-level functionaries, with little of value to offer to any of the USSR’s enemies (real or imagined), and limited influence. Colonel I. T. Starinov, a veteran of the Spanish Civil War, recalled returning to Leningrad, and being informed that his colleague, Boris Filippov of the Leningrad Railway Station, had been arrested: “From the newspapers I knew that Iakir, Tukhachevskii, Uborevich, Kork, and Primakov had confessed their guilt in full. Apparently they had really betrayed something to the enemy, had been plotting something. But what could Boris Ivanovich have betrayed or plotted?” Starinov’s incredulity reflected a growing trend, not just within the Red Army, but also in the wider sphere of Soviet society. Indeed, the vast majority of the 700,000 victims of the Great Purges were not army officers or Party officials, but “those whose lives meant absolutely nothing to Stalin: innocent people who were swept up in the maelstrom.” Thus, in late 1937, the Kiev seamstress Mariia Stanislavovna Ditkovskaia was arrested, solely for the fact that she may possibly have made the acquaintance of some Poles. Also in 1937, Fedor Vasilevich Doroshko, a traditional Ukrainian musician, was arrested after being denounced as a Ukrainian nationalist, and sentenced to death with the ludicrous charge of being a spy for the Japanese. Ditkovskaia and Doroshko are just two examples of those denounced by their neighbours, relatives, friends and acquaintances as being enemies of the people; in Doroshko’s case, because he had voiced doubts over the policy of forced agricultural collectivisation. Doroshko, like so many others, was shot. It is very simple to look at the Purges and see in it the hand of Stalin, an attempt by the vozhd to terrorise the subject peoples of the USSR into submission. This is certainly the view of such popular historians as Edvard Radzinsky, but other, such as Getty, view this explanation as flawed, verging on asinine. Certainly, it ignores Tolstoy’s argument that Stalin was a man governed by his own fear. If this fear and paranoia is taken into account, however, we begin to build a clearer picture of why Stalin embarked upon this mass murder of close to a million of his own people. In the aftermath of the Kirov assassination, the investigation was handled by Yagoda, whose conclusion of Kamenev and Zinoviev’s probable guilt did not satisfy Stalin. When Nikolai Yezhov reopened the case, however, he sparked a chain of events that snowballed completely out of his or Stalin’s control. In insisting on a widespread Trotskyist terror movement, Yezhov, as it has been shown, catalysed a string of denouncements from Party members and ordinary citizens, implicating their acquaintances as being associated with Trotskyist-Zinovievist policies or figures. With every denouncement, however, Stalin’s worst fears were realised: given his paralysing fear, and his clear belief that “every man is an enemy”, Stalin could not help but treat each arrest and execution as both a validation of his fears of conspiracies against him, and satisfaction that such conspiracies were being rooted out. With each new trial, Stalin would, in his own mind, become both more terrified and more secure. A lack of arrests, on the other hand, would not ease his mind in the belief that there was no threat, but rather indicate that the threats existed but were not being detected by the NKVD. Often, therefore, the only sensible conclusion that Stalin could draw was that the NKVD had been compromised. Such was the case of Yagoda, Yezhov’s predecessor, who had “proved himself incapable of unmasking the Trotskyite-Zinovievite bloc.” Apparently unable to satisfy Stalin’s need to bring more enemies to trial, the NKVD chief became one himself, deposed from his position and denounced as being an embezzler and a member of the Trotskyist underground. Appearing as a defendant in the same show trial as Nikolai Bukharin, Yagoda was found to be a member of the “Rightist conspiracy in the NKVD”, and shot. Thereafter, his young successor, Nikolai Yezhov, diligently acted upon the evidence accumulating against Party officials, Red Army officers, and normal Soviet citizens, sending a vast number to the firing squads to satisfy his leader’s urge to destroy the non-existent conspiracy against the Soviet state that he, Yezhov, had concocted in his letter to the Central Committee. Thus, the Purges, though begun by Yezhov and Stalin, were able to propagate themselves, by setting into motion the very actions and processes that would convince Stalin that they were still necessary, even in the face of ridiculous charges against essentially irrelevant individuals. The Great Purges were not the first, nor last, attempt to crush perceived opposition or threats to the regime. Indeed, brutal repression of dissidents by the secret police is a recurring trait in Russian history (among others), that can be traced with little difficulty to the Tsarist secret police predating Lenin’s October Revolution. Yet the Great Purges stand out in history for their scale, ferocity and sheer impact upon the ruling party, the armed services, and the population in general. The mass arrests and murder that characterised the Purges have been justified as “the [genuine] struggle between revolution and counter-revolution in a country surrounded by hostile governments”, and vilified as a petty attempt by Stalin to solidify his own personal dictatorship. In reality, the Purges were fundamentally a mistake. The period of the Great Purges – which in Russian is often termed Yezhovshchina, or “the Time of Yezhov” – is one marked by Yezhov’s ambition and miscalculation, and Stalin’s fear and paranoia. Once Yezhov’s annihilation of Stalin’s opponents, real and perceived, was in full swing, it took on a life of its own, and Yezhov’s only course of action, to satisfy his vozhd, was to follow it to its conclusion. On 20 December 1937, Yezhov attended a meeting of the Presidium at the Bolshoi Theatre, celebrating the twentieth anniversary of the NKVD. Anastas Mikoyan, an influential member of the Politburo who would under Khrushchev become the second most powerful man in the Soviet Union, took to the floor to praise the NKVD chief. Yezhov, Mikoyan proclaimed, was a “gifted, faithful Stalin pupil [who] has smashed the vicious spy nests of Trotskyist-Bukharinist agents of the foreign intelligence services.” He finished with a plea to all members of the Politburo, the Central Committee, the CPSU and the USSR itself: “Learn from Comrade Yezhov the Stalinist style of working he has learned and is learning from Comrade Stalin!” It is somewhat fitting, therefore, that this diligent student of Stalinism, who created the circumstances by which some 700,000 people would be swept away in a maelstrom of trumped-up charges and arbitrary killings, would himself be purged. In 1938, with Yezhov “arous[ing] distrust by his failure to produce a public Reserve Rightist Centre trial”, Stalin accused his once-faithful NKVD chief of “complicity in the plot by Frinovski, Shapiro, Ryzhova, Fedorov and others to use his bodyguard to assassinate him.” Arrested and interrogated by his own former subordinates, in much the same way that his predecessor Yagoda was, Nikolai Yezhov was shot sometime after the end of the Great Purges, most likely in the early part of 1940. The Great Terror spanned just two years, but in that time it changed the face of the Soviet Union and Stalinism irrevocably. Along the way, it eliminated nearly a million people, some of whom were important figures of opposition against Stalin, but most of whom were inconsequential: villagers, musicians, cobblers, people who had no political inclination, no disposition towards treason, no connection to Stalin and the high politics of the USSR. Yet, through a system of institutionalised murder, spawned by the irrational paranoia and fear of Stalin, these people became victims of Yezhovshchina. Eventually, the Purges can be characterised as they were at the beginning of this examination, through the examples of a prominent Communist theorist and an obscure Kiev seamstress. Nikolai Ivanovich Bukharin, in his last letter to Stalin, accepted his fate with typical philosophical eloquence. “Great plans, great ideas, and great interests take precedence over everything”, he wrote his one-time political ally, “and I know that it would be petty for me to place the question of my own person on a par with the universal-historical tasks resting, first and foremost, on your shoulders.” At the other extreme, we have no record of Mariia Stanislavovna Ditkovskaia’s last thoughts, or whether she accepted and understood her fate. All we know is that Mariia Ditkovskaia and Nikolai Bukharin died as innocents, accused by their executioners of being agents for enemies who never were. Bialer, Seweryn. Stalin and His Generals: Soviet Military Memoirs of World War II. New York: Pegasus, 1969. Carmichael, Joel. Stalin’s Masterpiece: The Show Trials and Purges of the Thirties – the Consolidation of the Bolshevik Dictatorship. London: Weidenfeld and Nicolson, 1976. Conquest, Robert. The Great Terror: Stalin’s Purge of the Thirties. London: Macmillan, 1968. Conquest, Robert. Inside Stalin’s Secret Police: NKVD Politics, 1936-39. London: Macmillan, 1985. Getty, J. Arch. Origins of the Great Purges: The Soviet Communist Party Reconsidered, 1933-1938. Cambridge: Cambridge University Press, 1985. Getty, J. Arch, and Naumov, Oleg V. The Road to Terror: Stalin and the Self-Destruction of the Bolsheviks, 1932-1939. New Haven: Yale University Press, 1999. Jansen, Marc, and Petrov, Nikita. Stalin’s Loyal Executioner: People’s Commissar Nikolai Ezhov 1895-1940. Stanford: Hoover Institute Press, 2002. Kuromiya, Hiroaki. The Voices of the Dead: Stalin’s Great Terror in the 1930s. New Haven: Yale University Press, 2007. Medvedev, Roy A. Let History Judge: The Origins and Consequences of Stalinism. New York: Vintage, 1973.